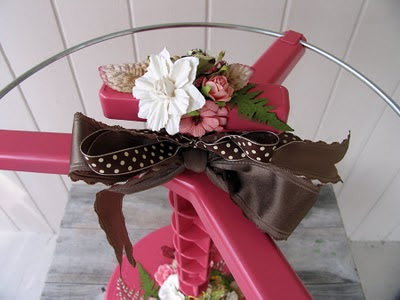 Prima and Clip It Up! I have more to share with you! 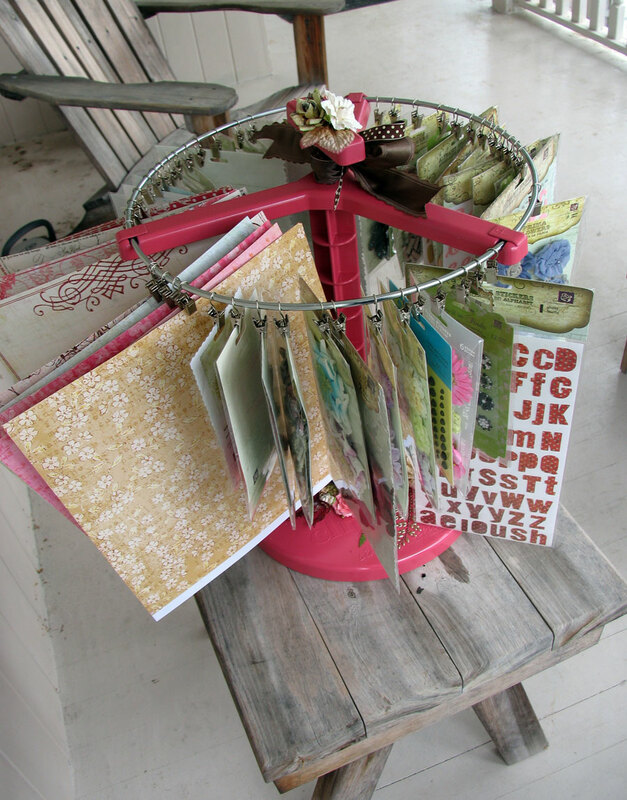 Prima did a product exchange with one of my very favorite companies-Tattered Angels! Yay!! I love love love their stuff so i was really excited about this! I made a couple projects using their amazing products-Glimmer Screens, Bingo and Calling cards, and of course-Glimmer Mist. For this layout-I used the glimmer screen from the Blossom set on the background with Vintage Pink glimmer mist. I applied two good coats for a deeper color and contrast. I stitched around the edge and began building the center starting with a flocked transparency from Prima. I cut out part of the design and used it as a border on the side. I sprayed this with Walnut Gold GM. I cut off the edges of the cards and embossed with fine gold powder. 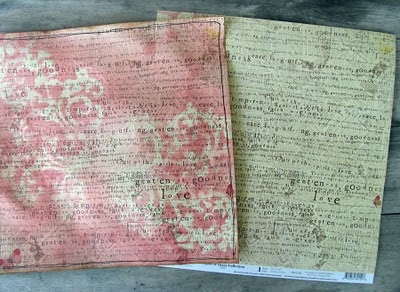 I simply ran the Distress Emboss Ink pad along the edges, dredged in powder and heat set. Love the results! I added Olive Vine GM to the De Vine Felt so that it sparkled too! And the small calling card is sprayed with a hefty dose of Crushed Shells GM. The Innoscence flowers were sprayed with Walnut Gold GM and so was my photo-just a light misting. 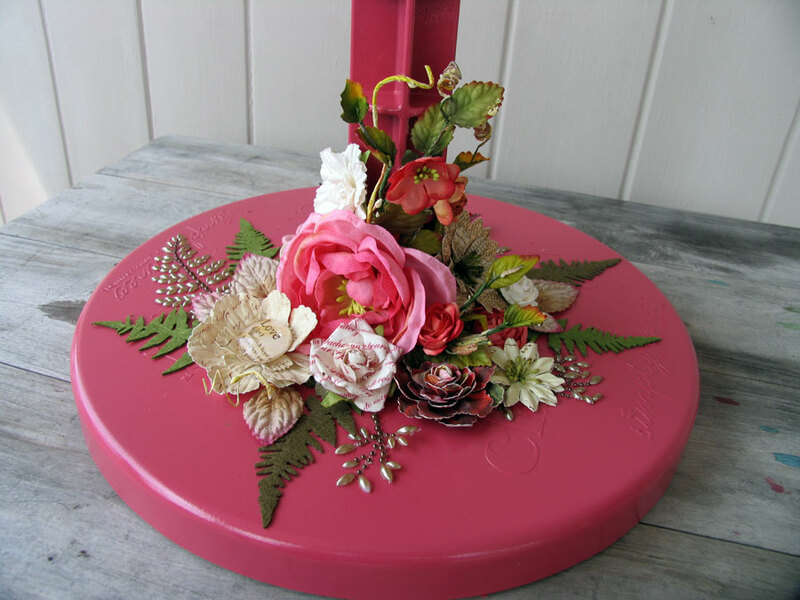 I used Prima's velvet rose leaves, Caravan flowers, Fairytale roses and and Amaruse flower as well as bling swirls. 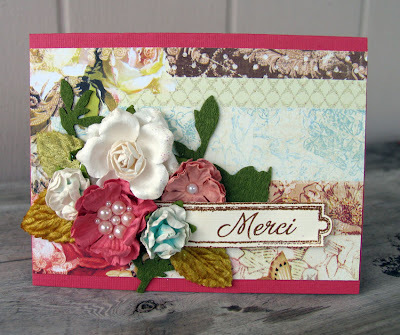 And this is a card I made using some of Prima's stamps. The stamps came from the Butterfly set. The sentiment is Hero Arts. 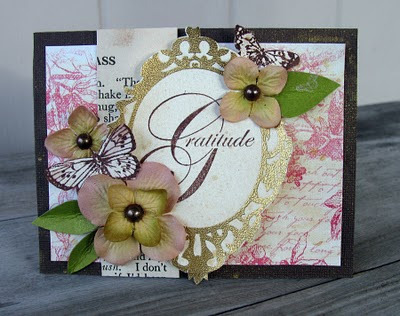 I used Antique Brass over the whole face of the card. I LOVE how it looks on the chocolate cardstock--so rich! I hand cut some leaves from Prima packaging, E-Line pearls were added to the flower centers and a bit of storybook paper in the back. I'll be back soon with more projects!! I hope everyone had a great weekend! I was busy teaching a big card event for my LSS--we had a blast! It was good to see everyone. Can't wait for the fall event.. I have another project to share with you--I was presented with the challenge to alter a Jumbo Clip It Up!-and I said-"Bring It!" It was intimidating at first, I had no idea how I was going to pull it off. I decided to paint it pink and then went from there. Below-you can see how I displayed some of my Prima goodies including 12 x 12 paper--love that! And you can also see an original photo of how it looked before painting it just to get an idea of the drastic transformation. 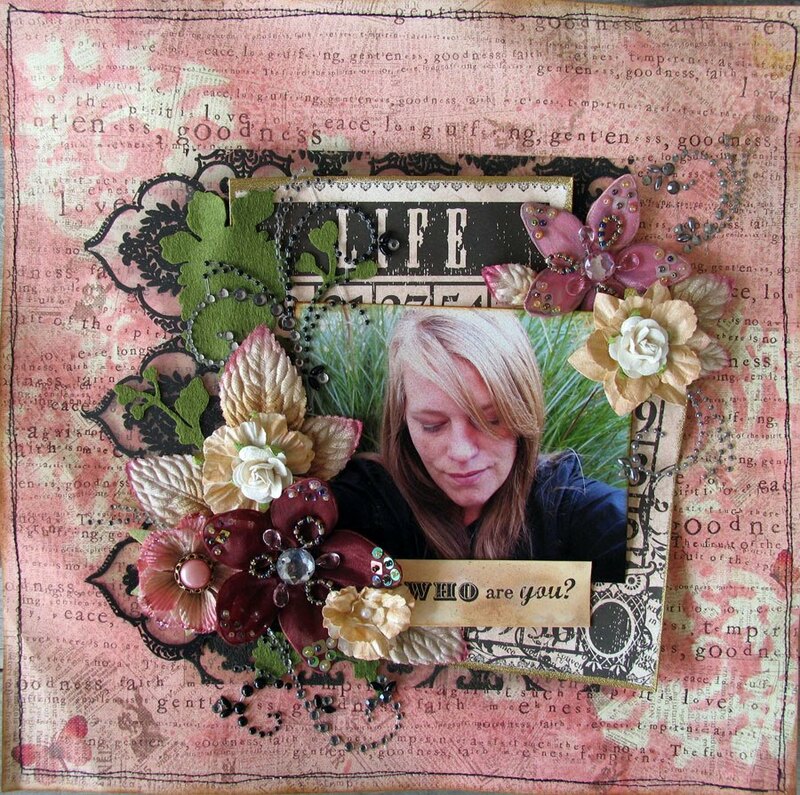 Then I began adding Prima goodies-De Vines, Flowers, Pearl Swirls, Leaves and a butterfly. You can add a much or as little as you want. I decorated the base first. 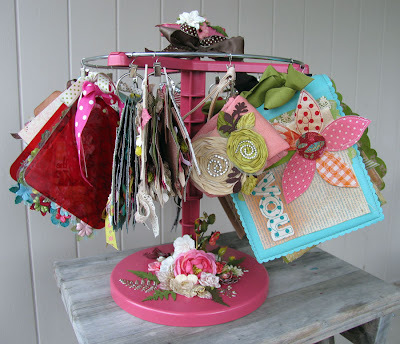 Here-I wanted to show you how you can display your projects. 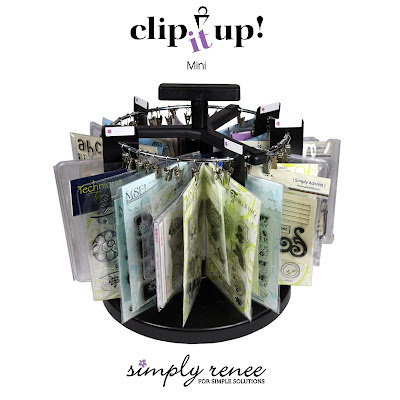 The clips are strong enough to hold mini books--how cool is that? I always have trouble properly displaying my projects and this is a great solution! Now for the really good part---would like the chance to win a Mini Clip It Up?? For your chance to win the mini CIU (and give-away details) simply head over to Simply Renee's blog and leave a comment. How easy is that? Good Luck!! Sorry I have been away from my blog for so long...things have been crazy and I don't see it slowing down anytime soon. But it's all good! Germany was so amazing--I met so many sweet girls and I'll post more about that soon with pics! I have a card event I am preparing for tomorrow and I am down to the wire on that. It'll be nice to see all the girls tomorrow! As you may know-I have a new job working for Prima and I love it! I am working on Live With Prima-live video classes that have been a huge hit! 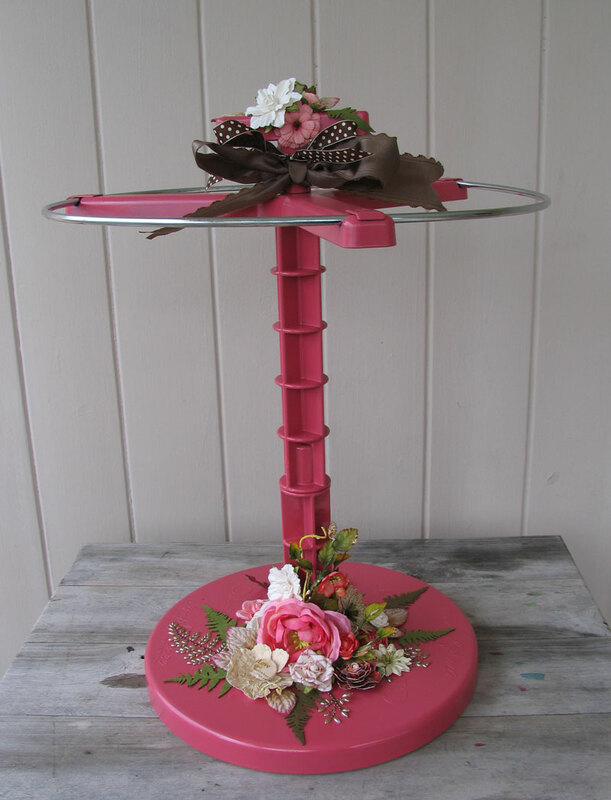 All classes have a project from start to fnish, made especially for the shows packed with techniques and tips. The Instructors have been amazing to work with-Marion, Julie and Donna. 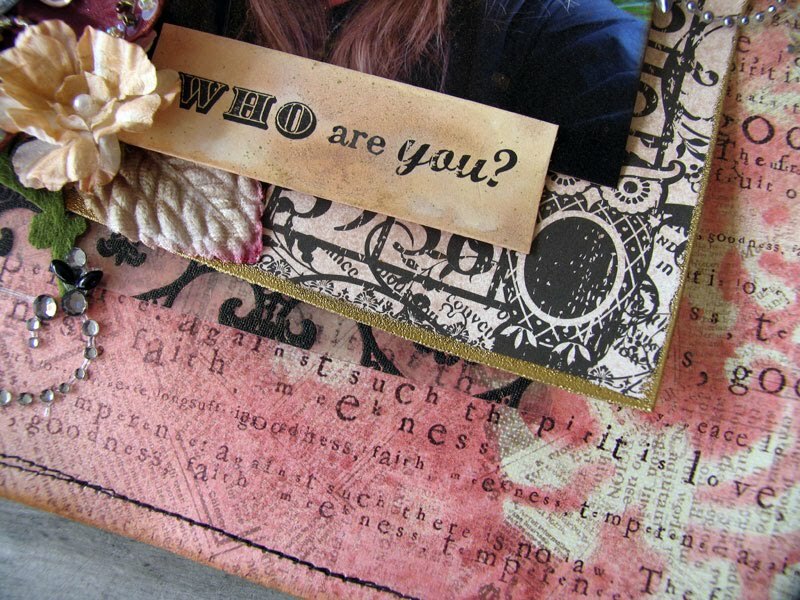 If you want to see what it's all about, check it out here: http://livewithprima.com We have kits available for every project made and a calendar of upcoming classes....it's really cool-go check it out! All my girls will be there-it will be an amazing weekend! And Tim Holtz is coming to her store---she is beyond excited! Check out her site for details. OK-so onto other things-Prima is doing an exchange with Couture Cardstock!! Their stuff is amazing-I am hooked on their cardstock-it's heavy weight, has gorgeous texture, takes stamped images with ease and they offer a huge assortment of colors and styles. AND-Prima has it featured as well! Leave a comment on the Prima blog for a chance to win an amazing giveaway!! 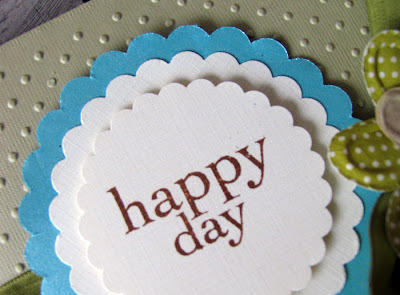 http://prima.typepad.com/ Good luck to you!!! 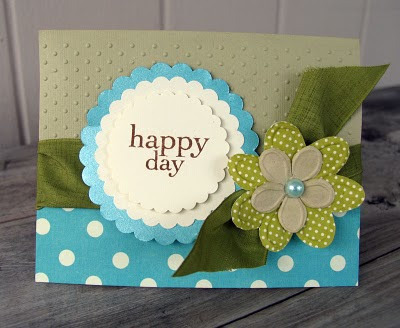 The first card is made with a textured cardstock--I am in love with it! 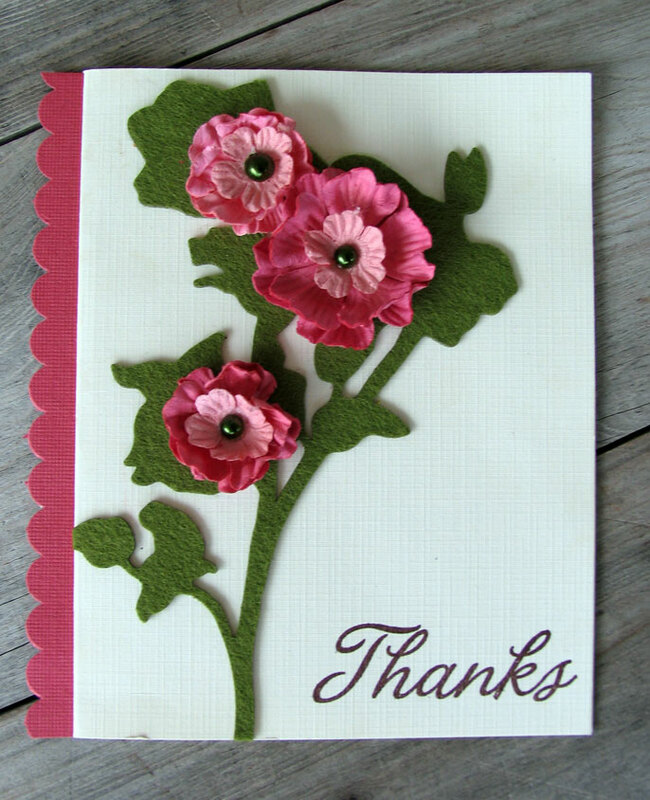 It looks like linen and adds subtle detail to the card. 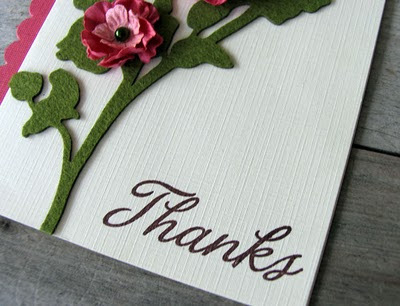 And notice how well it took the stamped sentiment--perfection! This second card-I used the textured cardstock again for my label and sentiment as well as the card base. Then added my flowers and goodies too. 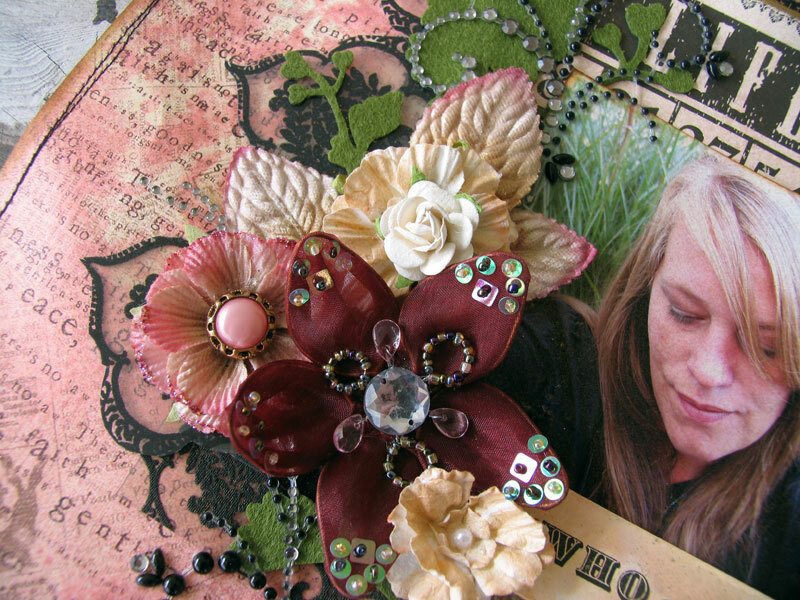 The flowers are Tea Roses, Pearl Penache, Cameo Roses, De Vine felt and velvet leaves. And this last one-I ran through the Cuttlebug with my dot emboss folder. No crackling or distortion occured after running it through--love that! I also used it in punches-perfect! I layered the circles and placed my sentiment in the center. Tied a big fat ribbon aropund the waist and added some fun Sprites with a pearl. Thanks for checking in! 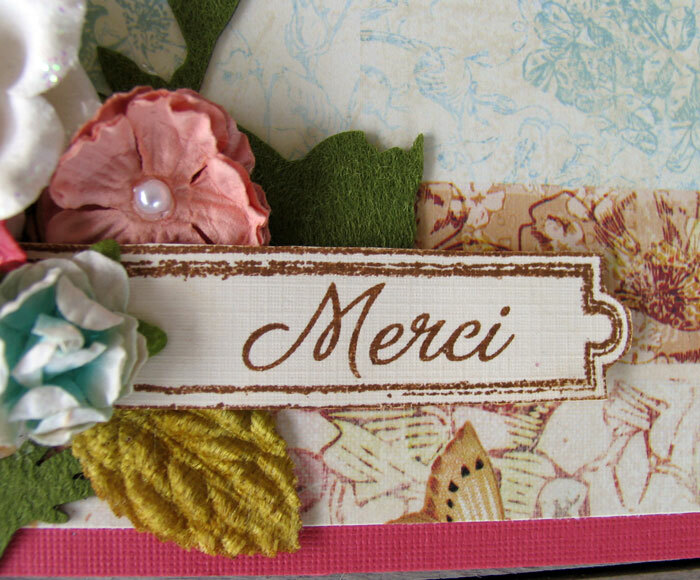 Hope you like the cards and I'll be back with photos from Germany and a few more projects I have been working on.